Fraudsters are exploiting householders receiving new council tax bills, it is claimed. 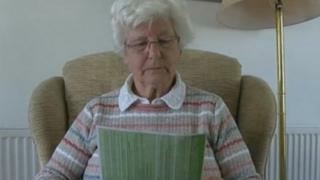 Margaret Evans, 84, from Monmouthshire, was targeted and is warning people to be aware. Some criminals are said to be using so-called suckers lists - which include details of those who have previously been scammed. Monmouthshire council is urging people to be aware of anyone calling to say they are entitled to a rebate. Mrs Evans said she received a call telling her she was owed money back on her council tax bill, and was asked for her bank details. "The woman on the phone was very convincing," she said. "I was pleased when she said I was entitled to a rebate, as I thought the money would come in handy, but then she asked for my bank details. "I became wary and said I don't give my details out, and she slammed the phone down immediately." Mrs Evans added she gets a lot of calls. "I just want to know how they got my details, I get calls a lot. "I just wonder how many other people have been targeted, I don't want to see anyone lose their money." Residents across Wales are receiving new council tax bills to coincide with the beginning of the new financial year. There is concern fraudsters carrying out the scam will try to exploit the change in bills. Monmouthshire council trading standards said the scammers already know the full name and address of the householder they are calling. They estimate only 5% of people targeted by this kind of fraud report it to the authorities, often because of embarrassment. Officials are worried the criminals carrying out the fraud will use this period, where bills change, to their advantage on the phone. Team leader Gareth Walters said: "Often it will be organised crime groups who have got hold of information or lists, those lists may be from people who have previously been scammed and those names then get sold on to organised crime groups. "They'll refer to the fact that they should have recently received notification of their updated council tax, and they've been allocated the wrong band and that they're entitled to a rebate from last year." People have been urged to contact their councils if they suspect they have been targeted.